Jez & Libby’s wedding on Friday was the first of a double wedding weekend for us. 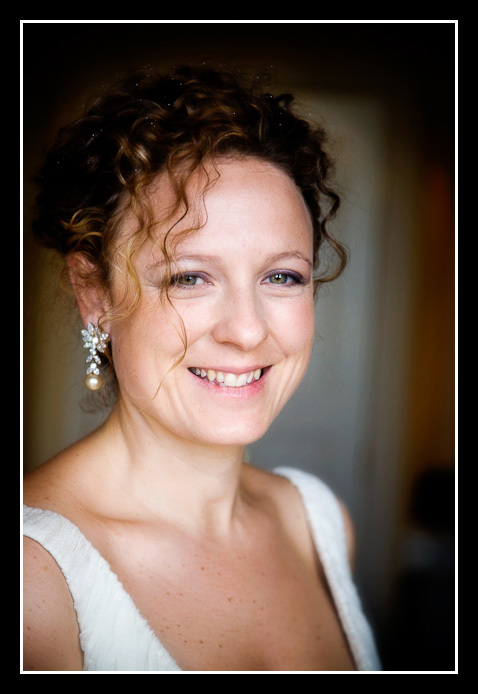 We think that Elizabeth is one of the most serenely elegant brides we’ve ever seen. She got ready at the Petersham Hotel in Richmond. Meanwhile, Jeremy and the guys got ready at the pub called the London Apprentice. 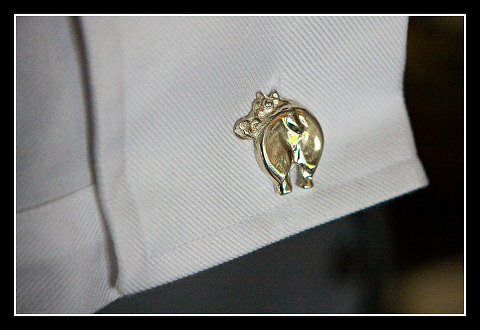 Aren’t these hippo’s bottom cufflinks brilliant?! We’re really, really pleased with this next photo of Elizabeth in the wedding car. Since this is a photo of the father of the groom we’re hoping he’s just concentrating rather than discovering he’s at the wrong wedding! 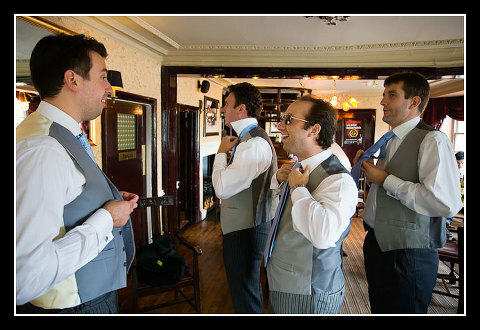 We love the way at Syon House we can be behind the groom when the bride walks down the aisle towards him. On the left here is Jeremy’s brother Joshua and his wife Alison. 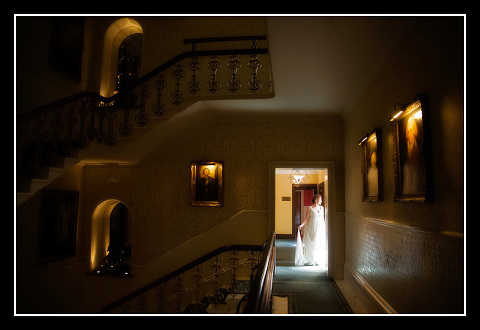 We photographed their wedding at Buxted Park in February. The skyscapes on Friday at Syon were just amazing. The couple had some ‘memorabilia’ boards on display for the guests. They showed a selection of photographs of the couple growing up along with more recent photos of them together. We, in turn, were able to get some great shots of the wedding guests enjoying the photos. The speeches were also amusing. As you can see, the sky really was spectacular on Friday. The band called The Fabulations got everyone dancing and enjoying the music. Jez&Libby - Great sneak peak of the Photos from Bali, very excited to see the rest. We’ve also just bumped into Jonathan and Claire(above) by our hotel pool in Ubud, small world!!! CaptureIt - Wow what a coincidence!! Who recognised who first? We’ve had several similar occurances this year like that but not international – very interesting! Have a great honeymoon and speak to you when you return.